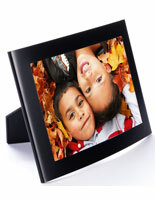 These Picture Displays are Available for Immediate Shipment! Each Frame is Stocked by the 100s! 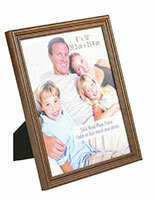 Various other Picture Displays Sold Here, All Offered at Super Low Prices! 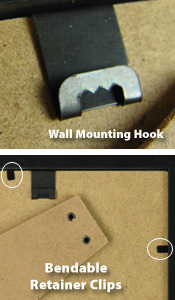 Includes wall-mounting clips for tabletop or wall-mounted displays. 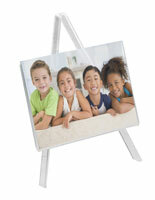 Two-way easel backing allows pictures to be displayed vertically or horizontally. 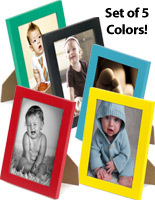 Sold in a set of 5 brilliant colors; yellow, red, blue, black and green. Beautifully crafted from durable pinewood to endure for a long time. 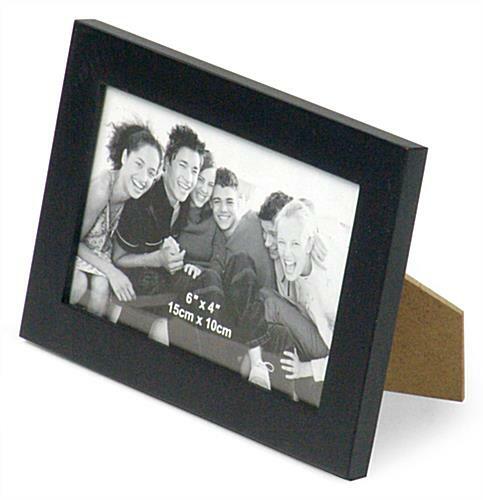 These picture displays offer timeless styling for displaying your favorite 4" x 6" pictures! 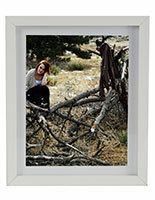 Photos can be displayed in a portrait or landscape style on the bookshelf or hung on the wall with these picture displays. 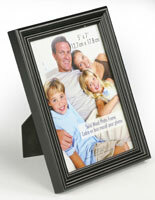 These photo holders, picture displays come in a set of 5 brilliant colors; yellow, red, blue, green and black. 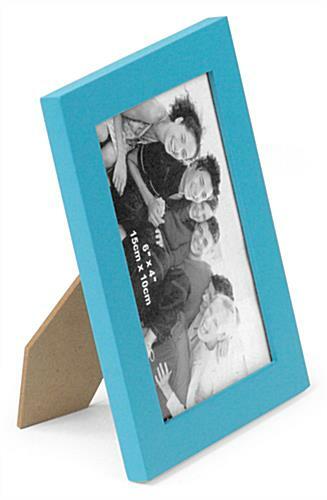 The colorful frame finishes allow you to display any theme or occasion pictures you can think of! 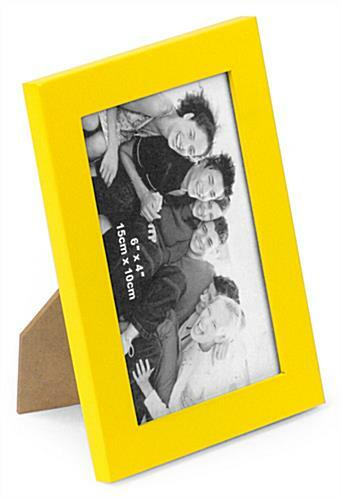 Add a splash of color to any room with these picture displays. 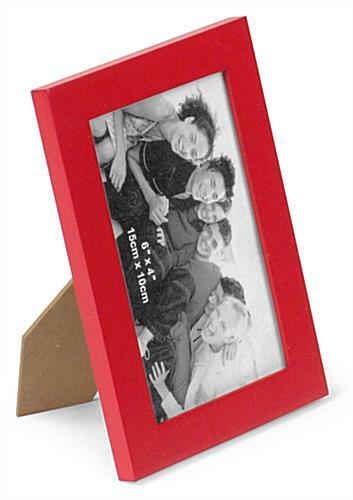 These picture displays, including photo holders and sign frames are perfect for showcasing a baby picture or children's drawing. 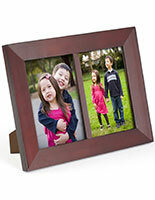 Each frame features quick-open retaining clips for fast and easy picture changes. To change the photo, twist open all four retainer clips, lift up the backboard and place the photo in between the glass panel and backboard. Hanging clips are also included on the back of all the frames for a wall-mounted display. 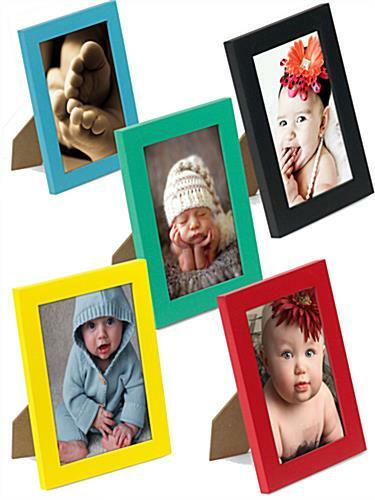 These photo frames, picture displays will surely create a lovely display in any nursery room, day care center or art studio. 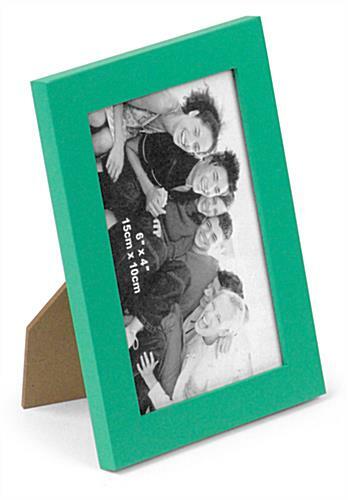 5.1" x 7.1" x 0.5"
The frames were absolutely perfect. Good quality and exceeded my expectations. I would definitely order again.